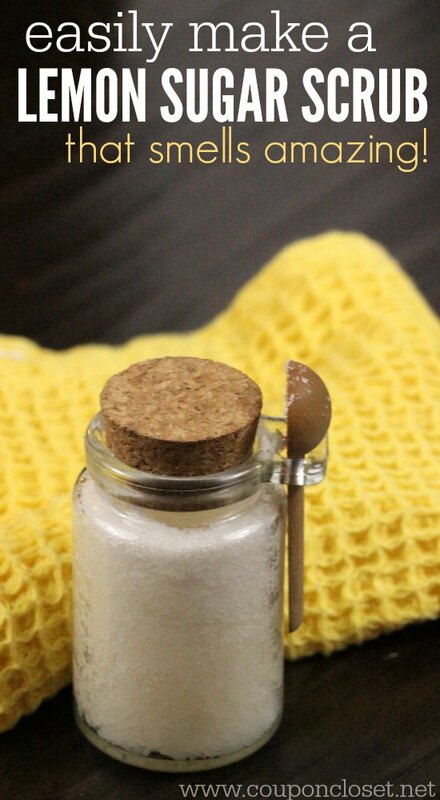 I just made some fun lemon sugar scrub that I just had to share with you! 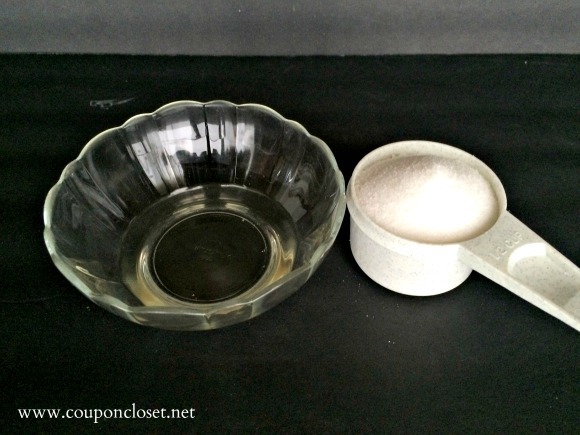 This scrub leaves my hands feeling soft and smelling great, so today I wanted to show you how to make your own sugar scrub. 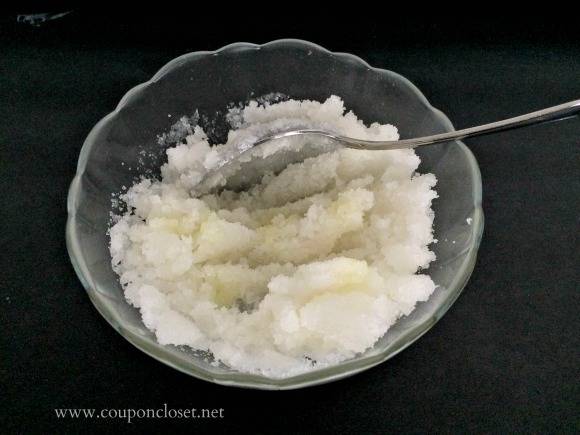 I keep this lemon sugar scrub at the kitchen sink because it works great at getting those food smells off my hands – especially that dreaded onion smell! 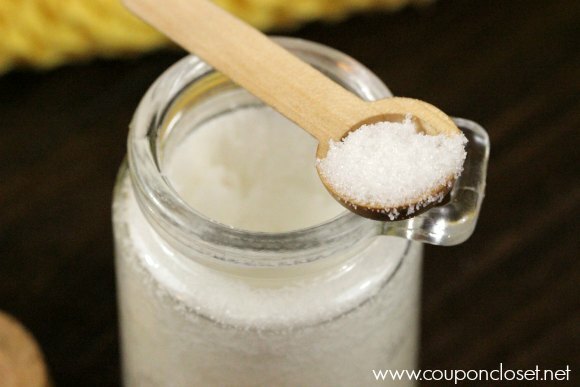 If you have never made a sugar scrub before, you are going to be pleasantly surprised how easy this scrub is to make. Probably the hardest part to making this lemon sugar scrub is finding the perfect container to put it in. You’ll want an air tight container so it doesn’t dry out. I found my container at Target for only a couple dollars. There are similar ones on Amazon that are a little bigger and a little more expensive. If you have a container that holds 8 ounces, simply double the recipe. This is the super easy part. First, you need to melt your coconut oil. Measure it out and place it in a microwave safe bowl. Microwave it on high for 10-15 seconds. Add in your essential oil. Stir to mix. Pour in the sugar and mix until well combined. I like my scrub to be fairly coarse and gritty, so these proportions are perfect for me. If you like your scrubs a little “thinner”, add a little more coconut oil. If you like it “thicker” add a little more sugar. I told you it was easy! I just keep this little jar of lemon sugar scrub on my kitchen sink and use it when I’ve been chopping onions or jalapenos or even meat. Basically, I just use it when I want my hands to smell fresh and clean. 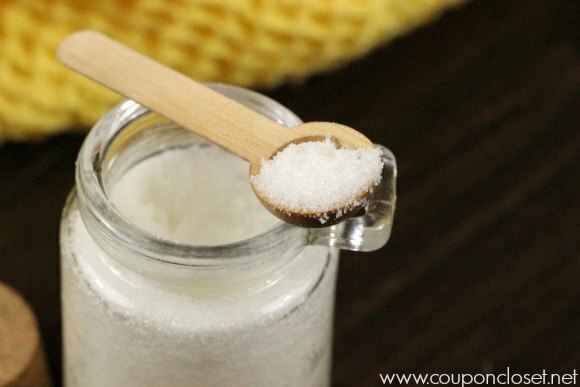 Do you make your own sugar scrubs? What are your favorite scents? I’d love to hear from you!